FAQ - Excel Electronics Inc.
Excel Electronics works with a wide variety of industries. 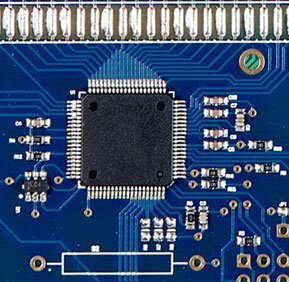 Over the years we have answered questions related to process, PCB design, and lead times. The FAQ below will help save time and money. This page provides answers to our most common customer questions. If your inquiry is not addressed below, please contact us. A comprehensive list of all raw materials, components, sub-assemblies and reference designators. What is an approved vendor listing? An approved vendor list should include all component manufacturers, and their part numbers. Typically our customers are very specific for the active components and often list generic for the passive components. Computer generated files that contain all of the information necessary for the printed circuit board (PCB) fabrication house to etch the copper layers to create the component pads and traces, drill all required holes, and route the board to the required size. What material requirements for the printed circuit board do we need to supply? PCB thickness, for example, 0.062", .031" or .100". PCB flammability rating, such as FR4. Copper thickness such as one ounce per square inch. Plating for exposed Copper such as Lead Free Hot Air Solder Leveling. Solder mask color such as green. Silk screen color such as white. Quality specifications for the unpopulated printed circuit board such as IPC-6011 class 2. What is a fiducial and how is it used? A fiducial is a reference pattern used for alignment purposes during the manufacture and assembly of the printed circuit board. It is incorporated into the artwork at the design stage, ensuring correct alignment through all stages of the manufacturing process. Typically three 0.06" fiducials are placed on opposite corners of the board. If the fiducials are placed on tooling rails, we recommend the fiducials are at least 0.150" from the edge of the board. Do I have to place my printed circuit board in an array for you production equipment? No. We will determine which PCB array will provide you the lowest material and labor costs. How do I determine what quality level we need our product to meet? We use IPC-A-610, which is an international standard that is also used by the Unites States Armed Forces. There are three quality levels, which are: Class 1 is for consumer grade goods that performance is desired. Class 2 is for industrial grade equipment where high reliability and low down time is desire. Class 3 is for life support or weapons fire control equipment that must perform on demand. How can I reduce product costs? Specify generic components and allow part substitution so we can combine your material requirements with our other customers to get volume discounts on components. Place orders with the largest quantity possible to spread set up costs over larger quantities. Do not over specify quality requirements. When possible, allow 6 weeks standard lead time. How are lead times determined? Lead times are quoted based on material availability at the time our quotation is provided to you. Production lead times are determined by material availability when we receive your purchase order. Generally speaking, allow a standard of 6 weeks lead time. We offer quick turn options, which could involve expediting bare boards or purchasing critical components from outside our distribution network, which will result in additional cost.